Today is Dr. Martin Luther King, Jr. birthday. I have been sharing many of my past posts about Dr. King on my Facebook page this weekend. Be sure to check them all out plus the review I wrote over at Multicultural Kid Blogs this month. 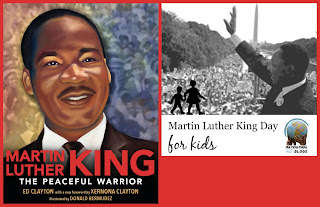 In honor of Dr. King and his quest for peace and equality through love and nonviolence I thought I would share a group of diverse books for different ages. These books have so many important messages throughout them. 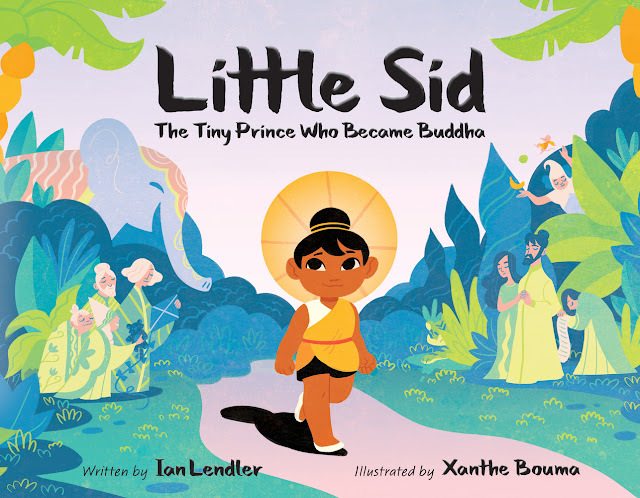 Our first book is Little Sid: The Tiny Prince Who Became Buddha by Ian Lendler and illustrated by Xanthe Bouma. This book is recommended for ages 4 to 8. It is the simplified version of how Prince Sid became Buddha. Sid did not like the constant attention of the attendants in the palace, so one day he wandered off to find happiness. It was harder than he thought it would be. At the end of the book there is a page on the real Siddhartha Gautama or Buddha. He was born in what is now the country of Nepal sometime between the 6th and 4th centuries BC. After one day having an enlightening about practicing kind thoughts, kind deeds and meditation to free oneself from suffering he began to spread this message around the world. Our next book is about a well known figure of the United States Civil Rights Movement and someone who knew Dr. King. It is Rosa Parks by Lisbeth Kaiser and illustrated by Marta Antelo. This book is part of the Little People, Big Dreams series. (I've reviewed several books in this series previously.) It is recommended for ages 4 to 8. 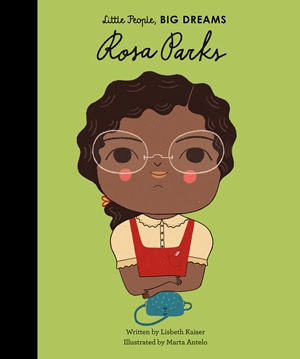 This book tells about Rosa's life and the injustices she witnessed. It of course tells about her stand on the bus and then the bus strike. 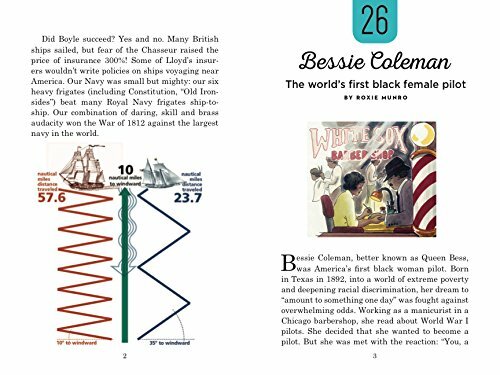 It does not go into the details some of the books about Rosa do, but it gives a great overview of who she is. I was a little disappointed that it does not mention other great Civil Rights leaders like Dr. King (who was instrumental in the bus strike). 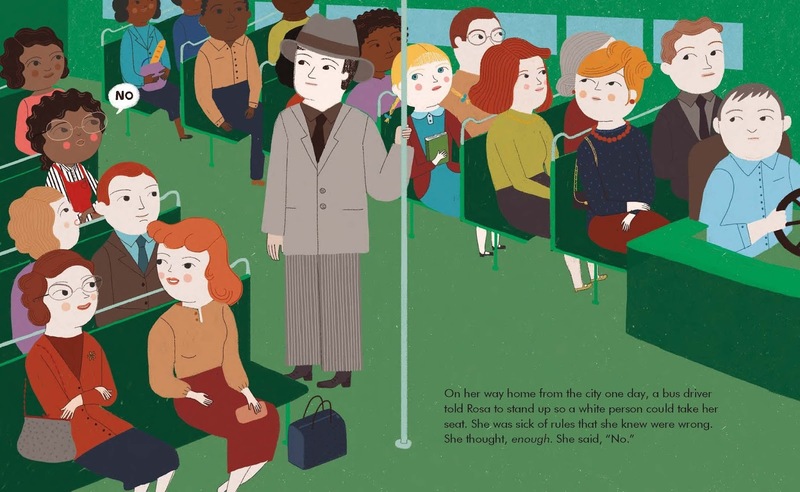 It is a good introduction for kids who do not know who Rosa Parks is though. 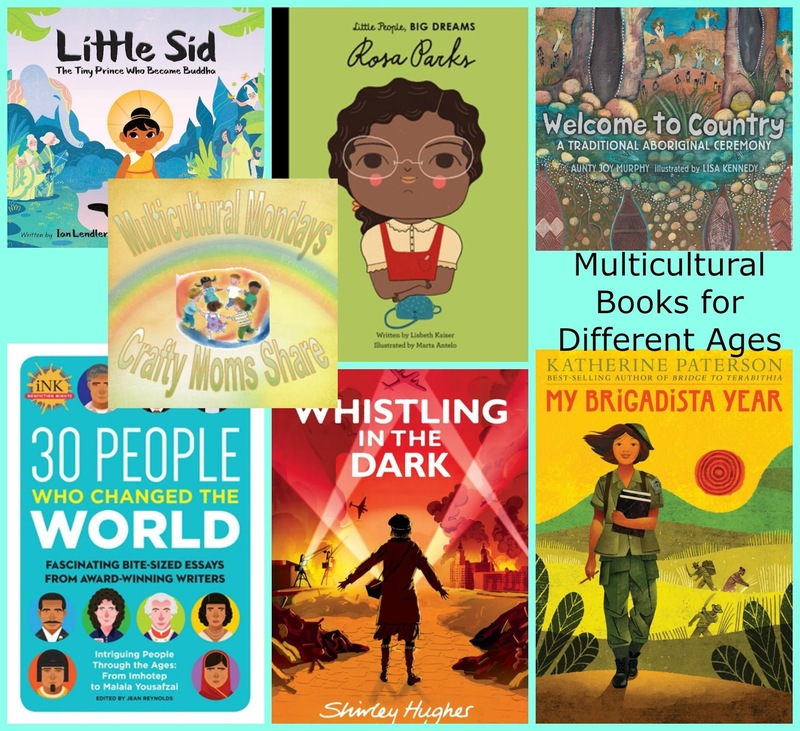 Our next book shares a culture with kids. 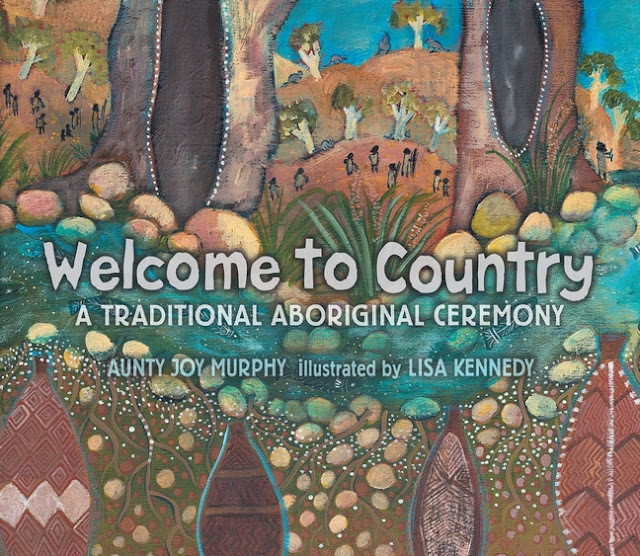 It is Welcome to Country: A Traditional Aboriginal Ceremony by Aunty Joy Murphy and illustrated by Lisa Kennedy. This book shares with the reader the culture of Wurundjeri people of Australia. The page before the title page shares how aboriginal communities in Australia have defined boundaries and one needs permission before entering another community. It is the elders who give permission and this book shares the welcome greeting of a Wurundjeri community. It even has some of the Woiwurrung Ngulu language to share the true welcoming words. It is beautiful and gives a feeling of the culture and country. We of course have looked at Australia several times over the years including some aboriginal cultures. Please be sure to check them out. 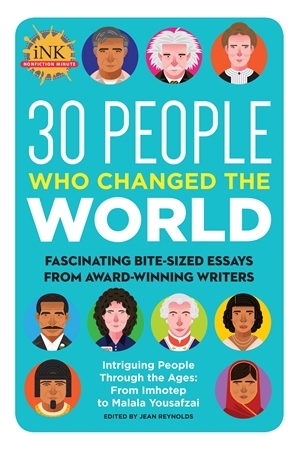 The next book is 30 People Who Changed the World by the InkThinkTank and edited by Jean Reynolds. This book contains short essays about 30 amazing people. 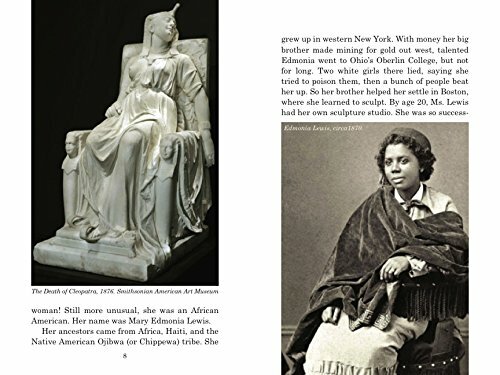 Some of the people include Julius Caesar, Marian Anderson, Juan de Pareja, Frederick Grant, Sally Ride and so many more. The range is from all over the world as well as throughout time. Some of the people you definitely know: like Rosa Parks, and others you may not have heard of like Imhotep. The things they have touched range from science, government, music and more. This is a great book for quick and very informative information about these people. The essays include pictures and are about three pages long. The book credits the various authors in the contents and on each essay. The book is recommended for ages 8 to 12. It would be perfect for teaching quick lessons on history, diversity or just for a student to read when there is down time. Our last two books today are novels. They are for middle school grades (grades 5 to 9). Each of them takes you to a piece of history in a different country. 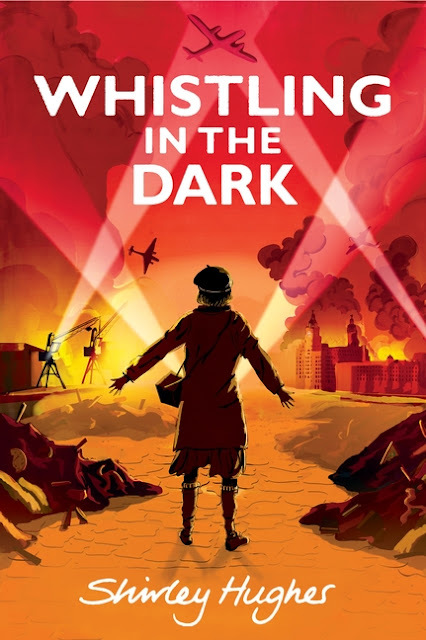 The first is Whistling in the Dark by Shirley Hughes. The setting of this book is World War II in England near Liverpool. Thirteen-year-old Joan and her family are trying to survive. Joan's father's ship went down recently and now they have to get on with their mother and the four children. There are air raid sirens, rations and queues to deal with as well as the things of just life issues. Joan's older sister is in love with Dai who is away on his ship most of the time and out of contact. Joan's brother is trying to get good grades to get a scholarship for the next school. Joan and her best friend Doreen are dealing with the bullies in their class and trying to protect the shy refugee who recently joined the class and her younger sister is trying to figure out life and is scared of the sirens. Life has dramatically changed for them with the war hitting England. Then there is the black market scandal and so much more. This book has adventure as well as heart. It shows a family who looks for good in every situation and who try to do the right thing. It is a wonderful book that I truly enjoyed and it gave me a glimpse at a time I normally only learned about through the concentration camps and the fighting. I loved how personal it feels and how it pulls you into the story. For another personal and different point of view of World War II be sure to check out my review of The Last Cherry Blossom. Our last book takes us to Cuba in 1961. We follow a thirteen-year-old as she becomes a teacher in the literacy campaign. 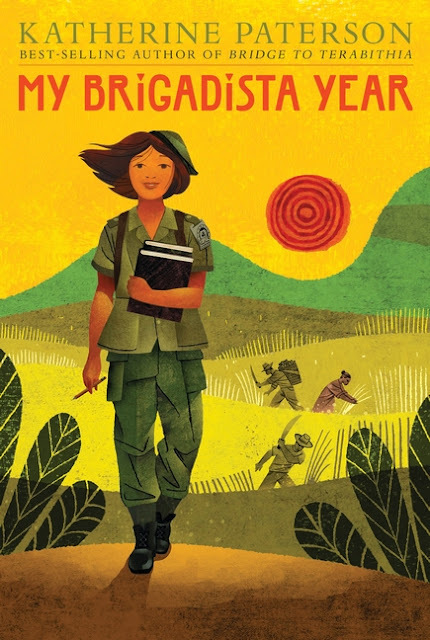 The book is My Brigadista Year by Katherine Paterson. Now I will admit I do not know much about Cuba. We have done some posts on it, but I have always heard such awful things about it beside the beauty of its land. I think this is part of what I love about this book. It is written with Lora as the narrator. She is telling her story of becoming a brigadista. She left her family and sheltered live in Havana to head to the mountains and live in the country with a family of strangers. She would help work the farm and house and at night teach the family to read and write. I honestly did not know about Fidel Castro's literacy campaign. There were more than 250,000 volunteers and half of them were women and girls. The youngest volunteer was seven (she taught a neighbor). They went throughout the country teaching people to read and write because Castro believed it was important to have a literate country. This story is an adventure. It takes a bit to get to the real adventure since there was training and such for the brigadistas. Once Lora is with her "student" family the real adventure begins. There are also dangers. There are rebels who want to destroy the program and kill the brigadistas. There are all sorts of lessons throughout the adventure. It is not just about teaching people to read and write but also about what the brigadistas learned from the families. Can you imagine leaving your family for a year at the age of thirteen? Going to live with strangers who do not have the comforts of home. It is an amazing historical novel that shares something I knew nothing about. The story also inspires me. To think a leader who I have heard nothing but negative things about found a way to have his country literate. What a wonderful deed!! I loved learning about this as well as about Cuba. I learned more about the parts of Cuba that are not usually shared in books. I hope you will take time to check out all these great books. I know I have truly enjoyed them! !